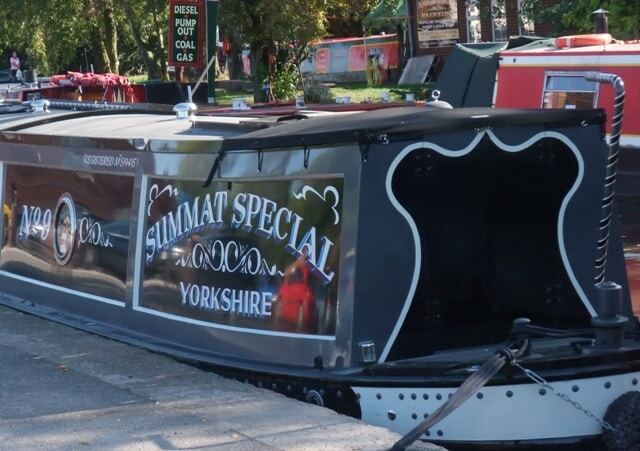 And beautiful it was today: oncoming boaters remarked endlessly on the perfection of a calm, sunny, cloudless autumn day. “We can’t complain,” smiled another boater. 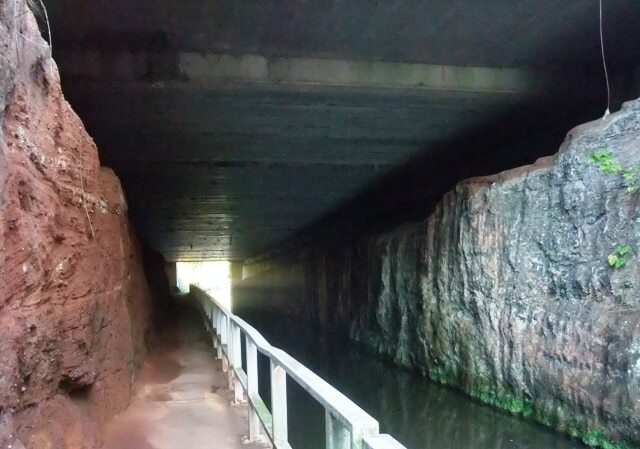 No bears were found in caves nor was there squelchy squerchy mud to wade through: certainly a day beyond complaint. 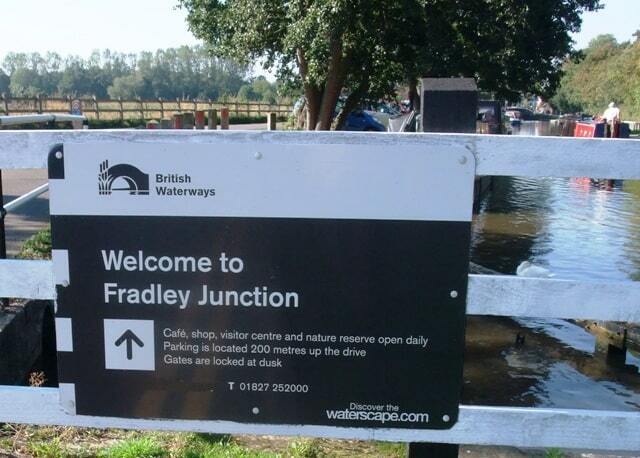 Fradley Junction (last passed on Wednesday 14th September) is always a busy spot. 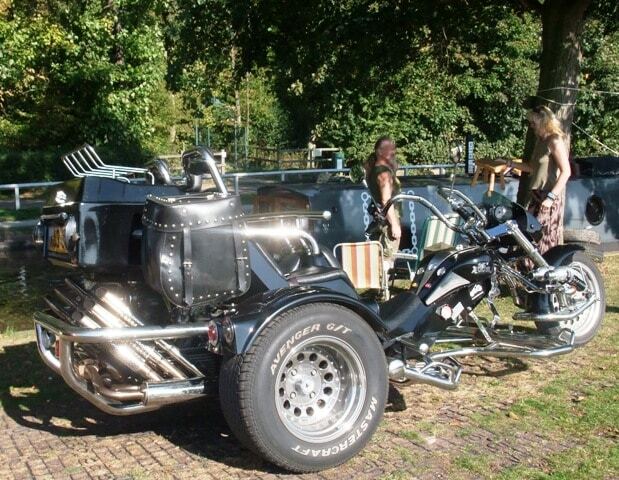 Two open-top sports cars and a much-loved motor trike trumpeted enjoyment of the day. 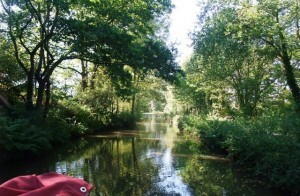 Before 11am Boatwif had witnessed more bare-chested chaps than she had all summer – and none of them looked under-dressed! 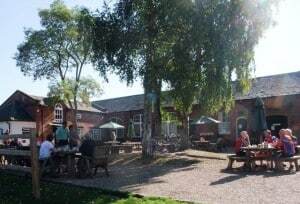 Walkers, cyclists and a social care group were at the teashop alongside Fradley yard just below Junction Lock; above it a full length 70’ boat turned. People strolled to and from the nature reserve or further on up the towpath. 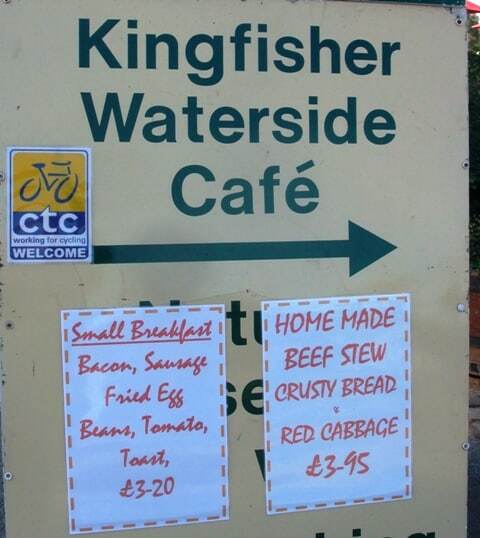 The Kingfisher Cafe above the lock was doing brisk trade too. 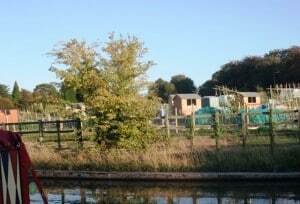 As on the last time we headed west up the locks from the Coventry Canal (August 2010) a queue of boats had built up. 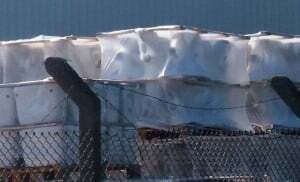 But in balmy sunshine crew helped with paddles and gates and eventually the locks were behind us. 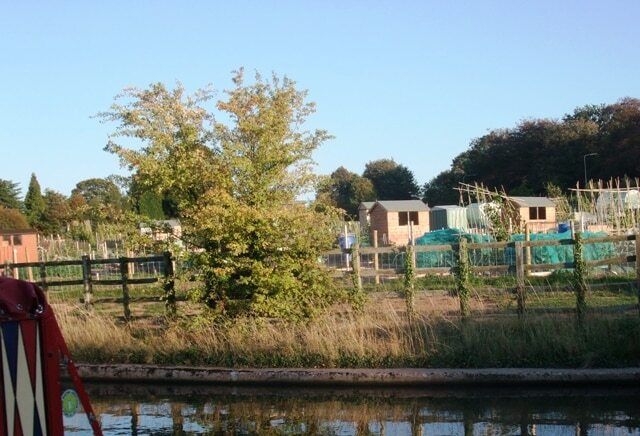 As the canal creeps towards King’s Bromley and Armitage it wanders past field and woodland. The sun squinting through the foliage provided sparkle on the water against a backdrop of rich foliage, now just beginning to show hints of autumn shades. At a narrow bridge a boat was lurking beyond, another was moored before it. 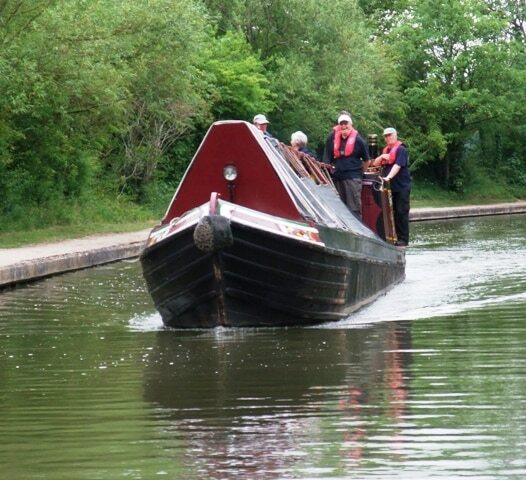 There was some shuffling about, some reversing and then the boats passed safely. 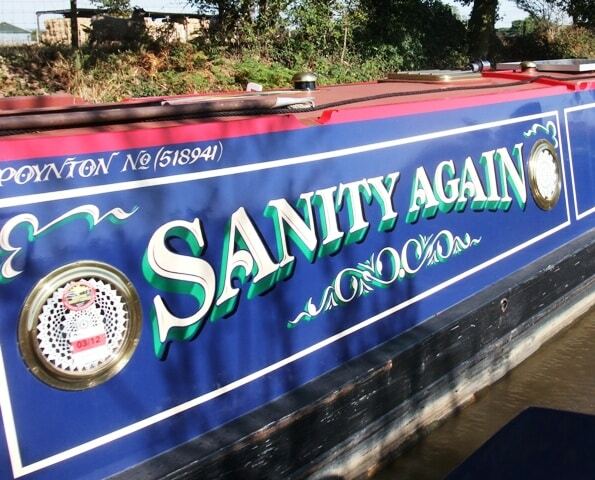 Intrigued we were to read the moored boat’s name, Sanity Again, whose owner’s daily blog of life as a continuous cruiser provides year-round reading. 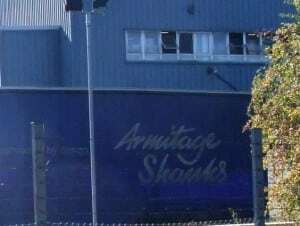 (No sighting though of Bruce or Sheila). 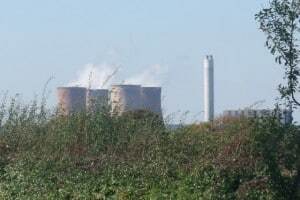 On towards Armitage: first glimpse of Cannock Chase, of Rugeley’s power station, then of the big factory works. There alongside the canal stand pallets and pallets of white toilets. 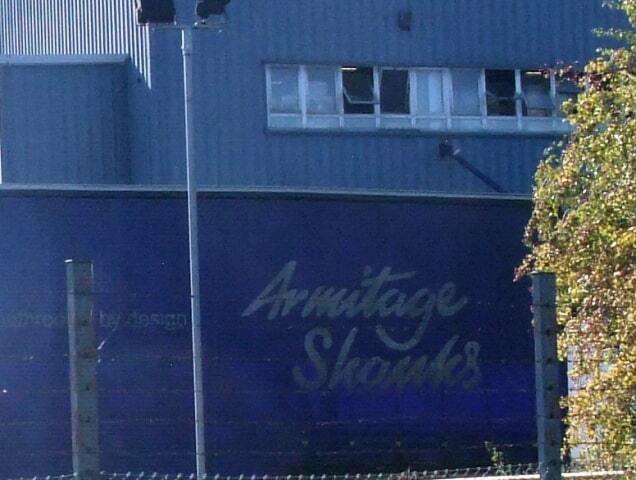 This was Armitage, so the answer to last night’s question would be: Mr Shanks of Armitage! 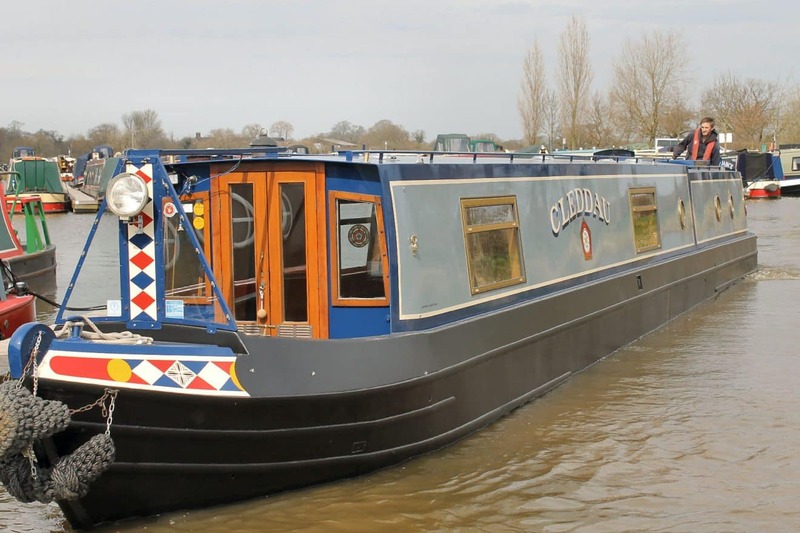 A little further on, just before the Plum Pudding pub, right opposite some well-tended allotments, Cleddau was moored, and the hot afternoon drifted by. As the sun’s heat lessened Boatwif took a stroll ahead, doing an advance check of tomorrow’s first challenge, the Narrows, a dark channel through rock just wide enough for a single boat at a time. No sign or sound or smell of a bear in there tonight… What a beautiful day it has been! 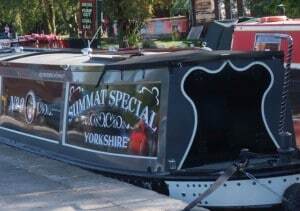 Indeed, it was “Summat Special”. 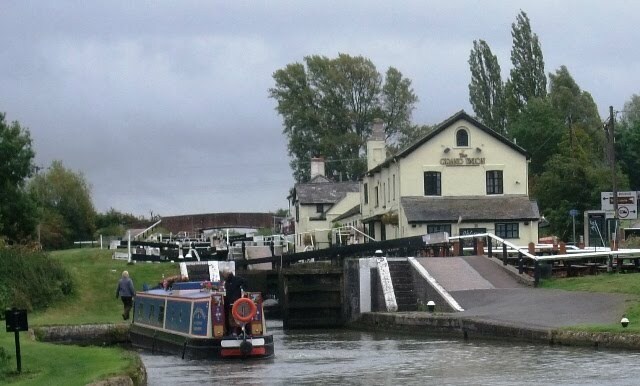 Tomorrow: beyond Rugeley, to Great Haywood Junction, and a left hand turn for a night on Tixall Wide.